How To Use Your Sat Nav Legally And Safely - Which? How to legally use your phone as a sat nav, as well as use a dedicated sat nav device. We tell you how to stay safe and on the right side of the law. Using a sat nav incorrectly could not only land you in bother with the police, but could also put you and your passengers in a dangerous situation on the road. Read our advice below or watch our video above to make sure you stay safe and legal the next time you’re using your sat nav. 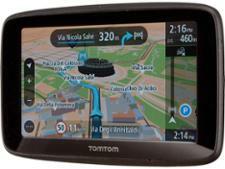 Find out which sat nav apps and portable sat nav devices aced our tests - see our best sat navs. Where should you position a sat nav? There are no specific rules to say where you can and can’t fix your sat nav device or smartphone in your car. But placing a sat nav in your eyeline while you're driving, or anywhere else it might obstruct your view of the road ahead, could constitute an offence. 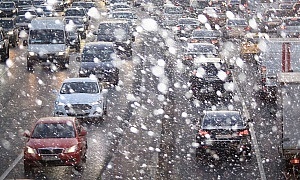 The Highway Code states that windscreens and windows must be kept clean and free from obstructions to vision. To be on the safe side, it’s best to mount your sat nav as low as possible on the windscreen. Alternatively, or consider an air-vent or dash-surface mount. If you’re caught holding a mobile phone, regardless of whether you’re using it for making a call or using a sat nav app, you’re likely to be prosecuted for using a handheld mobile phone while driving. This currently carries a penalty of £200 and six penalty points. The only real exception to this rule is if you are calling 999 or 112 in an emergency and you are unable to stop. If the offence is deemed sufficiently serious, you could be taken to court where you could be banned from driving entirely and fined a maximum of £1,000 (£2,500 if you’re driving a commercial vehicle). The same law applies to holding a sat nav device while driving, and applies even if you’re stopped at traffic lights, queuing in traffic or supervising a learner driver. You could also be at risk of prosecution for careless driving if your driving is found to be impaired as a result of using a sat nav device, whether or not it’s in your hand. This is punishable by a maximum unlimited fine and three to nine penalty points. 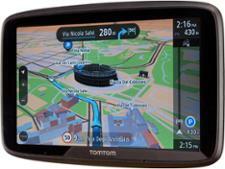 Need help choosing the best sat nav app or sat nav? See our expert pick of the top five sat navs. 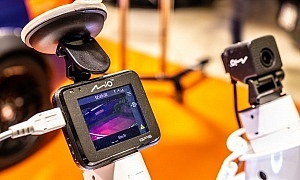 Can you touch your mounted sat nav or smartphone while driving? While the law is clear on prohibiting the use of a handheld device while driving, programming a sat nav or smartphone app that’s mounted to your windscreen or dashboard is less well defined. 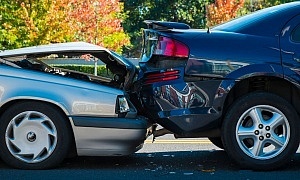 It’s worth remembering, though, that rule 149 of the Highway Code states that a driver must exercise proper control of their vehicle at all times. Using hands-free equipment is also likely to distract your attention from the road, which could leave you open to a charge of careless driving. To stay safe, we’d recommend always pulling over in a safe place before attempting to program or otherwise manipulate your smartphone or sat nav device. You’re the one in control of your vehicle. It is your responsibility to ensure you adhere to all relevant driving regulations. Satellite navigation is intended as a driver’s aid, and not a foolproof device to depend on absolutely. You won’t be able to use poor sat nav guidance as a defence in the event that it sends you the wrong way down a one-way street, or you drive your car off a quayside. The sat navs you should avoid - we reveal our Don't Buy sat navs. It’s worth viewing the entire route your sat nav's planning on take you on before you start driving. Not only will you be quickly alerted to any destination errors, you can check the route to ensure it’s entirely suitable for your vehicle. Unless you’ve got a dedicated caravan or motorhome sat nav, your device is unlikely to know if your vehicle is too tall or wide for certain roads, and won’t necessarily guide you accordingly. Relying on a sat nav's visual guidance alone means more time looking at the screen, rather than at the road ahead. This could prove particularly dangerous at complex or busy junctions. So even if your sat nav has an irritating voice, it’s best to keep spoken instructions on at a reasonable volume - particularly if you’re driving in an unfamiliar area. It’s good practice to keep your device's maps up to date. This will minimise the possibility of misleading directions, which could temporarily distract you, or worse, contribute to an accident. Most dedicated navigation devices will include some form of software and map updates for at least a limited period of time, so ensure that yours is as current as possible. 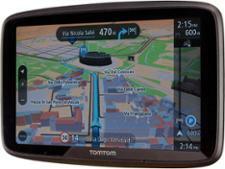 See our guide on buying sat nav maps.